The Platform of Knowledge (PoK): a virtual repository that supports EUSALP organizations, stakeholders, researchers and citizens, making available data relevant to the Macro-Region. Research Laboratories in the Alpine Area (RE-SEARCH ALPS): a project which aims to collect and make accessible information about laboratories, research and innovation centers active in the 7 countries of the Alps. The project is led by the University of Modena and Reggio Emilia (UNIMORE) in collaboration with the Mountain University (UNIMONT) – University of Milan. Research and Innovation Strategies for Smart Specialization (RIS3) in EUSALP: activities mapping regional development policies within the Alpine Region, to promote greater coherence with Research and Innovation strategies for Smart Specialization. Lombardy Region’s Open Innovation: a collaborative network dedicated to the world of Research and Innovation. The FVG Open Innovation System: a project supported by the Friuli Venezia Giulia Region and promoted by all the Regional Science and Technology Parks. The International Lake Constance University Network: an example of cross-border cooperation between science and research in the Alpine Region. 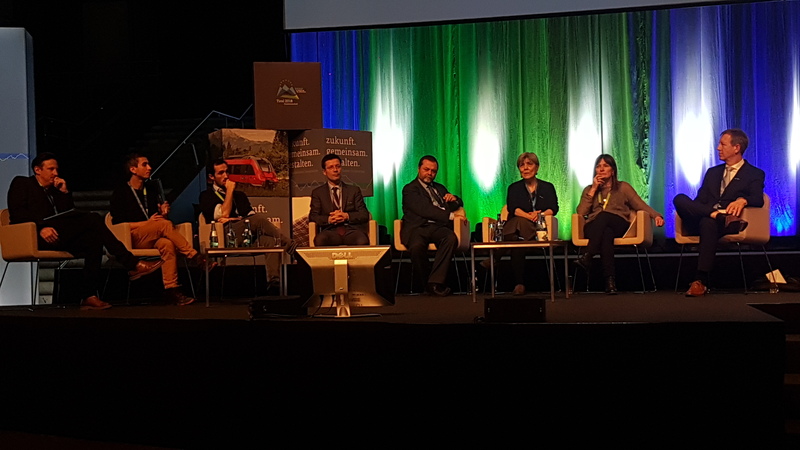 The 2nd EUSALP Annual Forum held in Innsbruck on 20-21 October was also an opportunity to announce the forthcoming Italian Presidency led by the Lombardy Region. Raffaele Cattaneo, Lombardy Region Councillor for the Environment and Climate presented the objectives and future plans of the new presidency that will focus on the green economy for the sustainable development of Alpine territories.